I am unschooling my children. Unschooling is defined by people in different ways. Some may look at this blog and gasp at how I can use that word to describe our educational philosophy. It is true though. I define unschooling as natural child-led learning. This is found from the first moment your baby opens her eyes. This should be part of every educational experience. We are eclectic homeschoolers and unschooling is only part of our educational philosophy. It has great merits and it is what I use until the child nears age 5. Around the age of 5 I add structure to my children’s learning. This doesn’t prevent unschooling because unschooling is not something that is done for a few hours each day. It is a lifestyle. It is about providing the child with access to educational materials and toys. It is about entering in discussions and conversations to stimulate learning. It is a lifestyle of learning. Because we have parent-directed instruction for 5-6 hours a day it does not negate unschooling. Unschooling is a lifestyle that still exists outside formal schooling. In fact, formal schooling can incite new interests that are pursued after formal schooling is finished. It is not uncommon for my children to finish their structured work for the day and go right into chasing after their own educational interests. One son may go off and blog or play a computer phonics game and another may go off and read a book or surf astronomy sites online. These are things I encourage. My daughter at 26 months old is structure-free. She has years of structure-free learning ahead of her. Today she wanted to draw in her chair. As I put her in her chair I asked her if she wanted to play with the letters that I was putting away because she had asked about them earlier that morning. 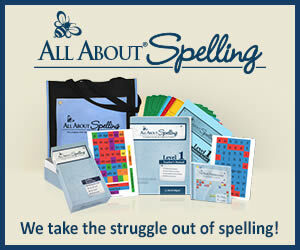 I was storing the All About Spelling letters in the closet since we typically do All About Spelling with just paper. She had fun looking at all the letters and wanted me to name many for her. This was followed by a drawing session or should I say a scribbling session where she asked me to draw some things like ice cream and color a fish. Earlier in the day she came up to me with her MagnaDoodle toy and “wrote” her ABCs. Little moments like these show me that there is no need for structured learning in the early years. But my all time favorite moment is her pretend library chute where she proceeded to slide her books down her “chute” to the floor. 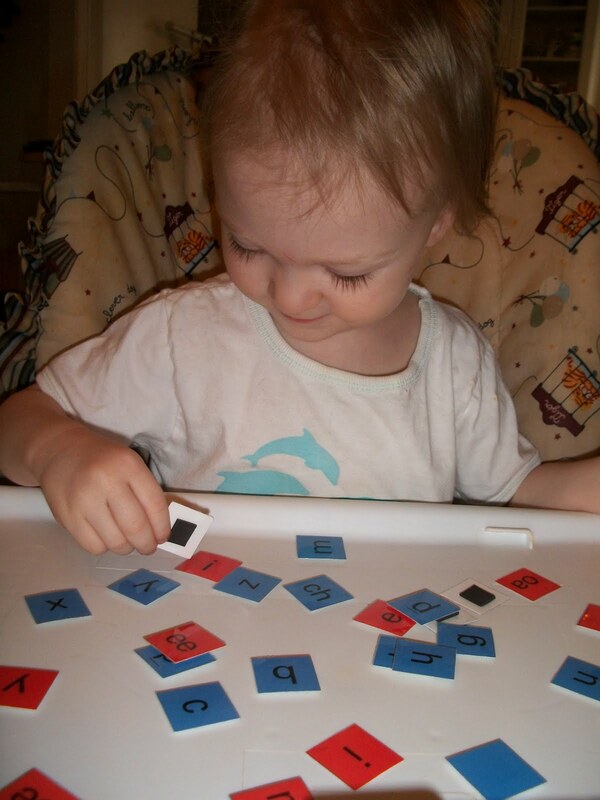 I know some may say that she is interested in letters or writing because she is around older siblings in school. While there may be some truth to that I don’t believe it is the whole story. Her interest was actually sparked by watching a couple Signing Time DVDs. My oldest son was unstructured until age 5.5 and had a head full of science. He had also started to read on his own. He had no exposure to academics other than the unschooling lifestyle. Unschooling is beneficial. It is important. I do think it helps foster a love for learning that extends through a whole life time. Learning should be fun although there will always be some things we will have to learn about even if we are not interested. Homeschooling provides my children time to have the best of both worlds. It allows my children to receive a structured education with enough time to pursue interests. unschooling, unschooling a toddler. Bookmark. A great post. You’ve recently articulated several ideas which are important to me. Your confidently expressed views about the way you do things are inspiring and empowering. I’m inclined to worry what others think, when really what matters is knowing my children, setting goals for them and with them, and providing the tools to help them get there. I’m glad to be reminded of this. I think what is more important than what other people would call your own homeschool is what you would call it. If you feel it is unschooling, than it is, even if someone else wouldn’t consider it so. Everyone has their own definitions.